Mars is the ruler of the material world, our animalistic nature, aggression in both healthy and destructive forms, and our connection to planet Earth. When Mars is in a sign that makes it weak, we deal with problems collected in our root chakra, our first energy center, until we comprehend the need of our physical body through its way to show our weaknesses. Mars was fallen in Cancer for a while, moved through emotion, through our lungs and hearts, our relationships with close people and our loving relationships with ourselves. Many of us got angry, irritated, nervous, and dealt with acne, allergies and strong physical reactions to experiences from the outer world. Whatever your situation, it is important to know its purpose in your life to handle the consequences with a little more ease. The basic purpose of our root chakra is to give our body the energy it needs to perform well, holding our temperature constant and our blood pressure stable. It is our connection to Earth’s core and as such, it is a pool of infinite wisdom found in Mother Nature. The main challenge of this energy center is fear, and we will find that in those moments in our lives when Mars is challenged, we must come to terms with our fears, our frustration, and everything that makes us impatient because of the energetic imbalance we carry within. Ask yourself how this June and July were affecting you and if you have lost a long-term contract, broke your phone or your computer, had to part from an employee, or broke your leg. As soon as you observe the situation from the perspective that puts your fears into focus, you will see that you have been settling for too long in a state that brought too much stress into your life. These new, stressful situations seem to be a simple statement that it is time for change. One of the most extreme ways to discover you overdid it in all areas of life is to suffer from a broken bone in your body, especially your lower limbs, for this is where the outer world reflects on the inner one, as if all other signals and warning signs led nowhere and taught you nothing. Damage made to the foundation and the structure of our body is always the highest form of a warning. We should all be grateful for signals in the outer world, taking their time to notify us where we made mistakes before we get our physiologies endangered or hurt. Since the blocked energy of our Mars brought destructive forces into different areas of our life, we must recognize that it set out to break the one thing we needed the most to satisfy our hunger. If all our energy is put into work and we forgot to sleep, eat, and care for ourselves, we probably broke our computer, fought with a colleague or even quit an important job. Whatever the case, we had a chance to try and work through it, or we simply let things slide in their way and manner, the way the Universe wanted them too. Our decisions were hopefully based on our ability to listen to ourselves, our needs, and our perception of time and the material world. Only if we are ready, fully rested and focused on the Self, should we embark on a “broken trail” once again. 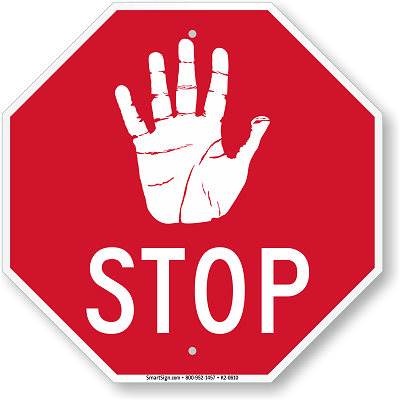 The message of anything breaking can be imagined as a large, red “Stop” sign. As you imagine this sign in front of your face, approach the stress of the moment with a deep breath, and realize that you have gone too far this time around. States of our personal boundaries and emotional and physical limitations push us over the edge, make us fall, and make things disappear, stop working, our clients cancel and our pets bite. These days your cat possibly scratched your hand, your knife slipped and cut your finger, and technology failed you in the time of need. To learn from the period that is now behind you, close your eyes, breathe in, and feel what you need at this time. If you need rest, take the time to rest, if you need physical activity, exercise. Make life simple and livable instead of forcing yourself in too many directions, forgetting what your body really needs. Sleep, eat healthy meals, walk, and breathe once again, and you will see all other things suddenly mend, heal, and get glued together. It is a real challenge to face our limitations and see when we need to stop and observe our state of body and heart. If we don’t do so on our own, our reality will do so for us in the next challenge of Mars. There is really no point in being angry at the Universe for reminding us of our physical needs and our truth.